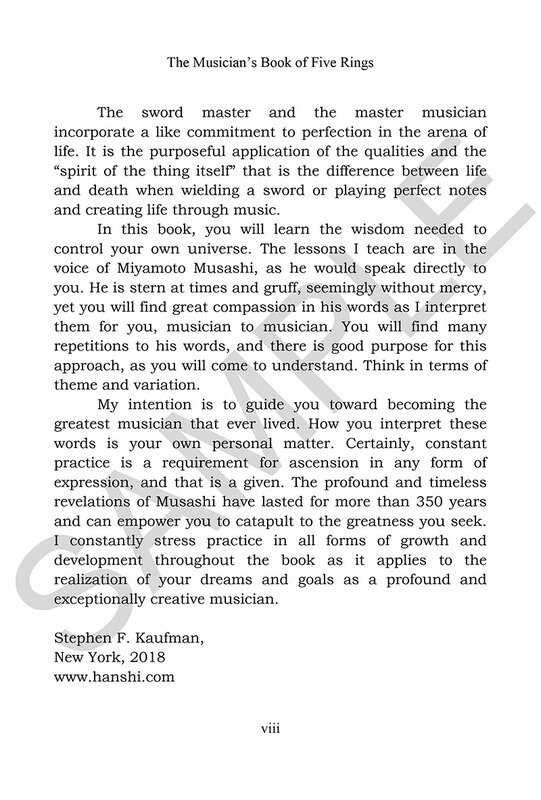 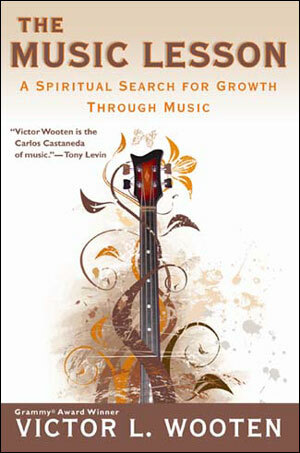 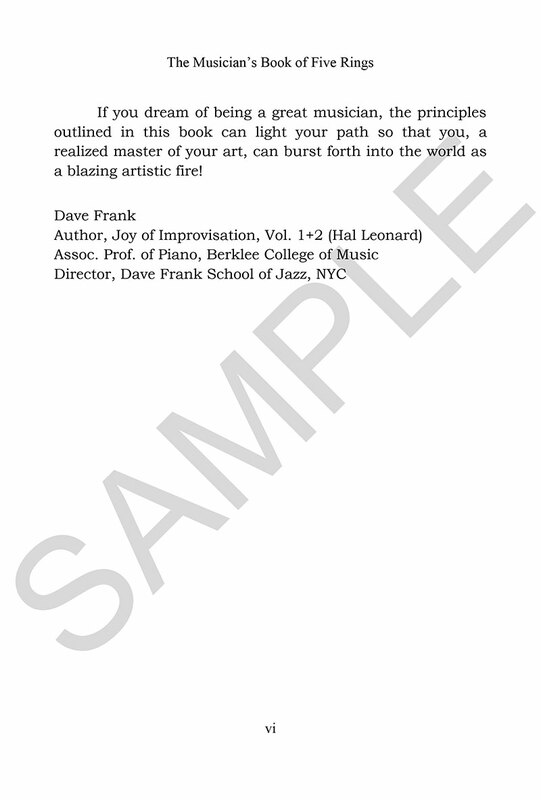 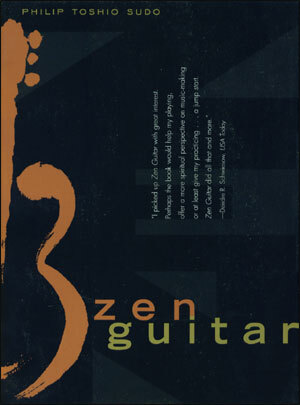 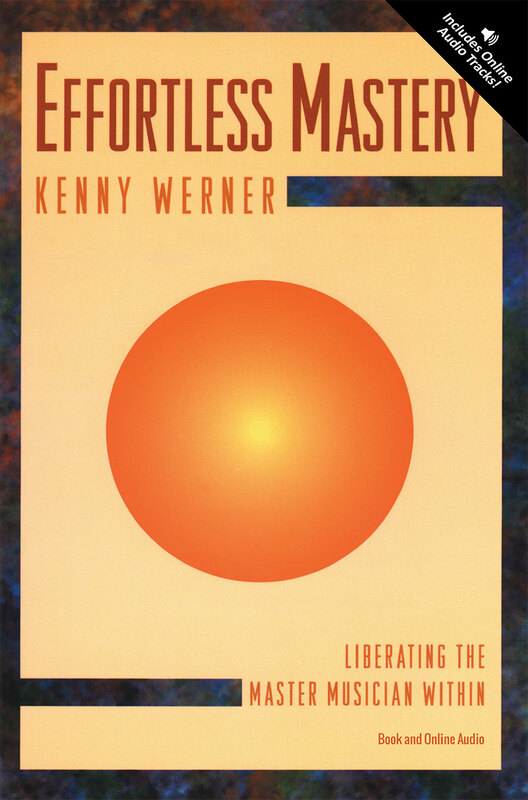 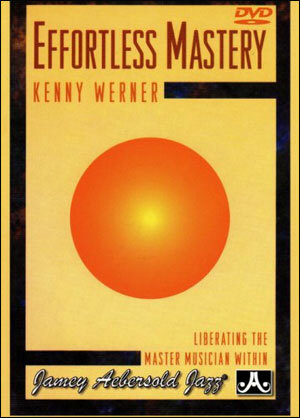 There has never been a more unique a book ever written on the subject of achieving musical mastery! 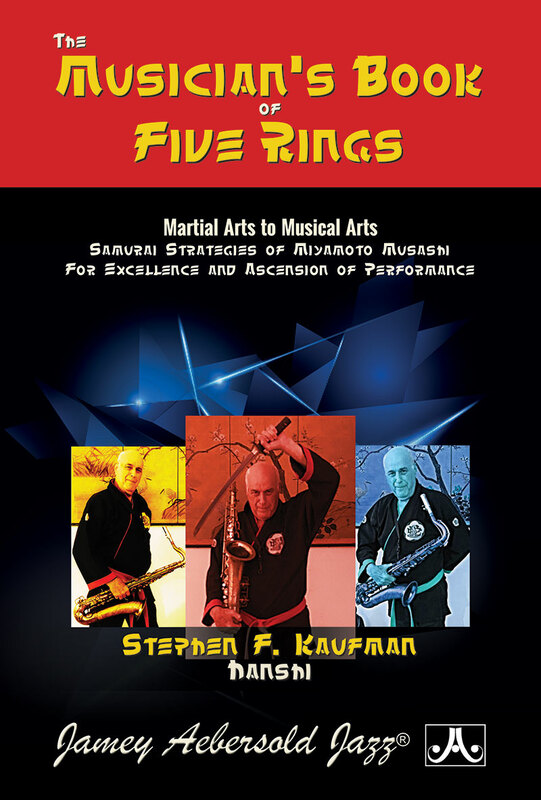 From the sword to your ax, Hanshi Stephen Kaufman transposes the ancient wisdom of warriors into a performance enhancing attitude to keep you sharp, disciplined, and prepared for true greatness. 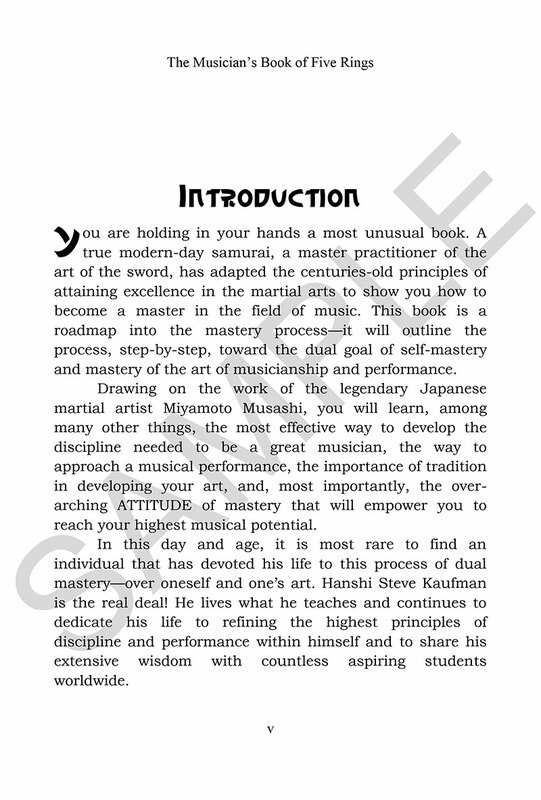 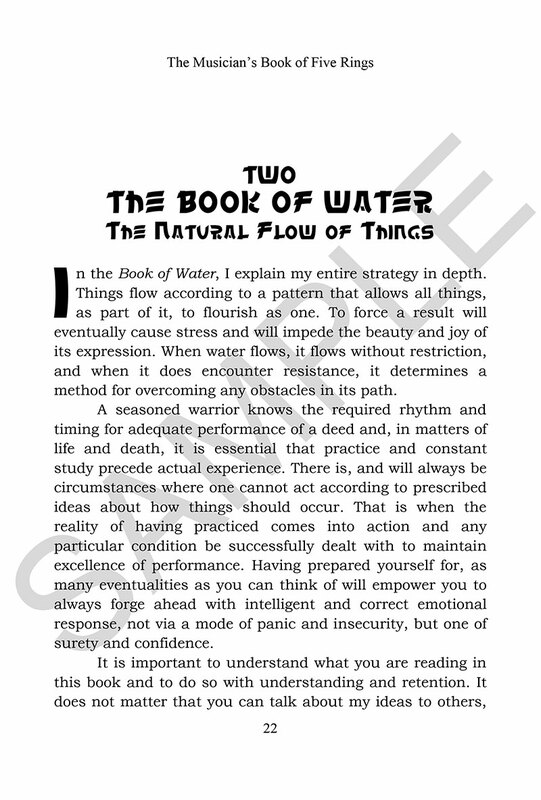 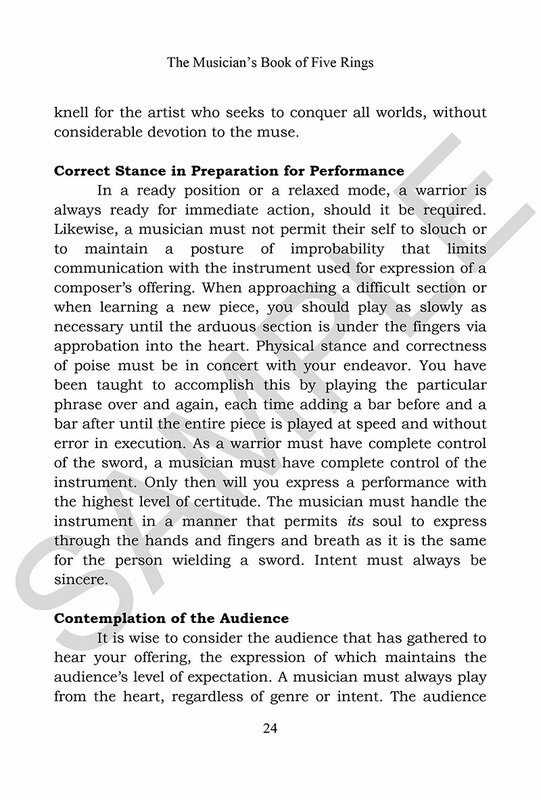 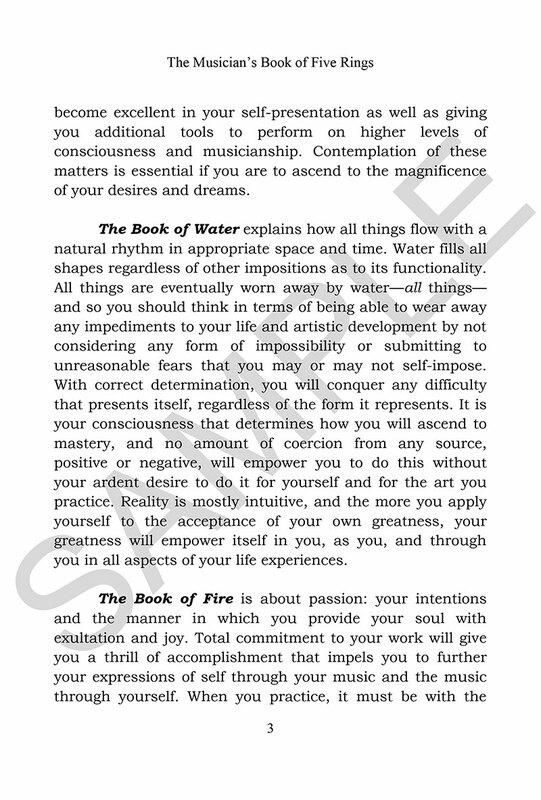 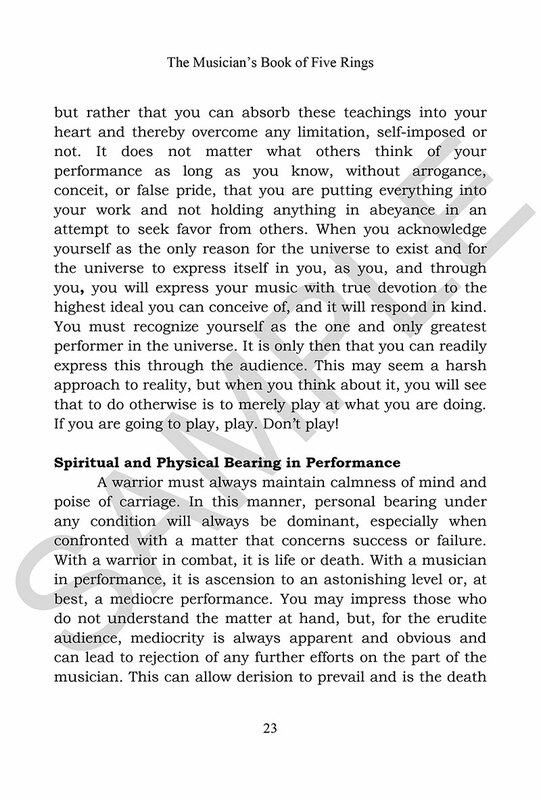 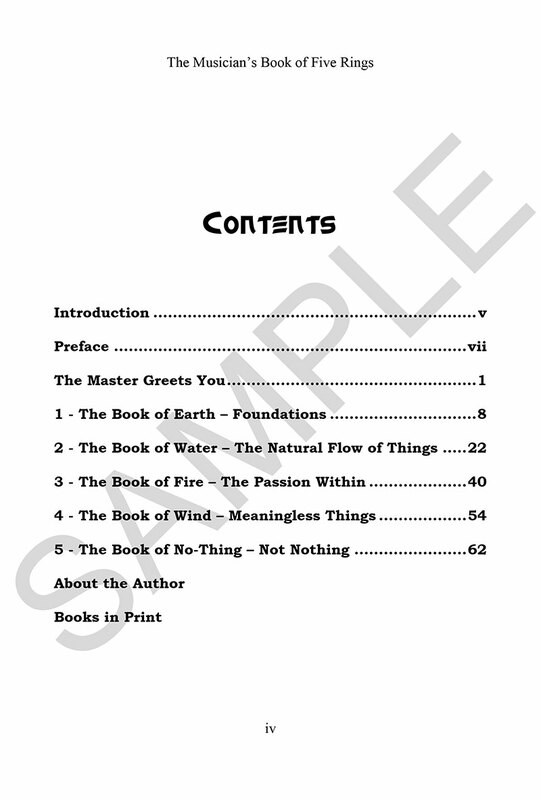 Based on the profound Five Rings philosophy of legendary 16th century swordsman Miyamoto Musashi, this book will teach you to overcome the common barriers to success in music and life. 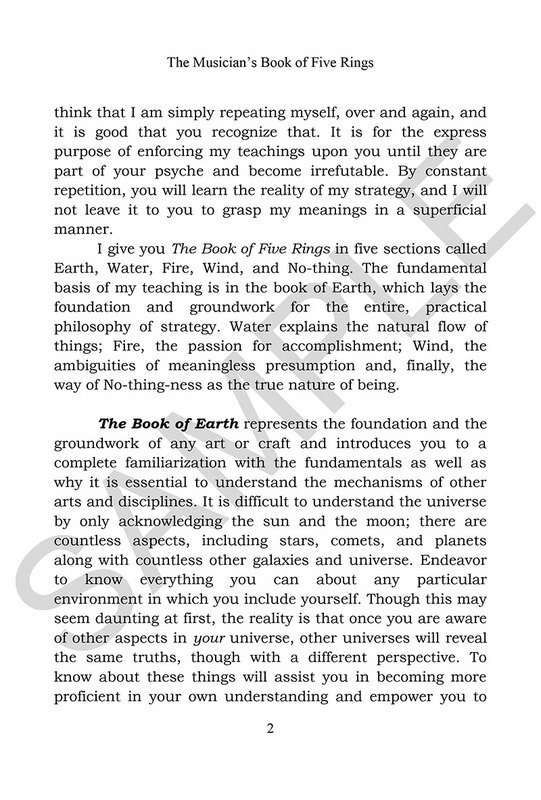 It is concisely written, to-the-point, and the concepts presented are easy for the serious reader to absorb and comprehend.